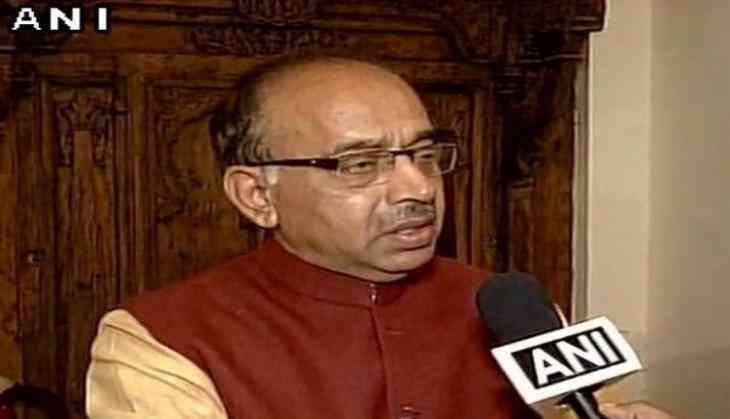 Union Sports Minister Vijay Goel has congratulated the Indian cricket team after they thrashed their arch-rivals Pakistan by 124 runs through Duckworth-Lewis method in the opening Champions Trophy clash at Edgbaston in Birmingham last evening. Describing Virat Kohli's side triumph over Pakistan as `significant`, Goel said it is a happy moment for all cricket loving Indians. Earlier, the Indian top-order came out with all guns blazing as they posted a humoungous 319-3 in 48 overs. Rohit Sharma (91), Shikhar Dhawan (68), Yuvraj Singh (53), Virat Kohli (81*) and Hardik Pandya (20*) all tore apart the Pakistani bowling attack and didn't give them any chance to bounce back into the game. The Kohli-led side will now lock horns with Sri Lanka at the Kennington Oval in London on 8 June.